Cyclocross was always an area of cycling on which Tom looked upon as a being pointless as he had only been aware of British races which were tame and just 'riding around muddy fields'. He thought of doing a few races for some fun in the winter to help get through the long dark wet months. 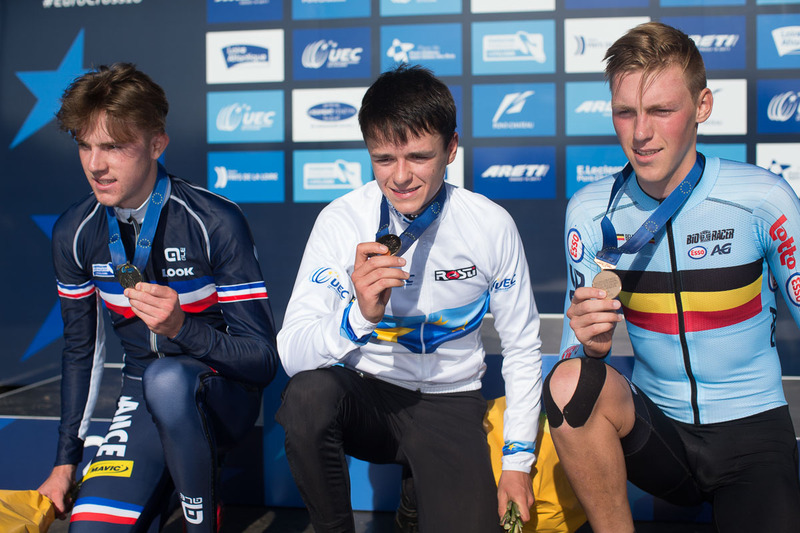 The next year, as a second year under 16, he got silver at the National Championships, in Abergavenny, on a bike he normally used as a winter bike with mudguards. From here he joined his current team, Oldfield / Paul Milnes and made plans for a more comprehensive 15/16 to fulfil more of his potential. Despite this there wasn’t much evidence that he might become a top world class rider. 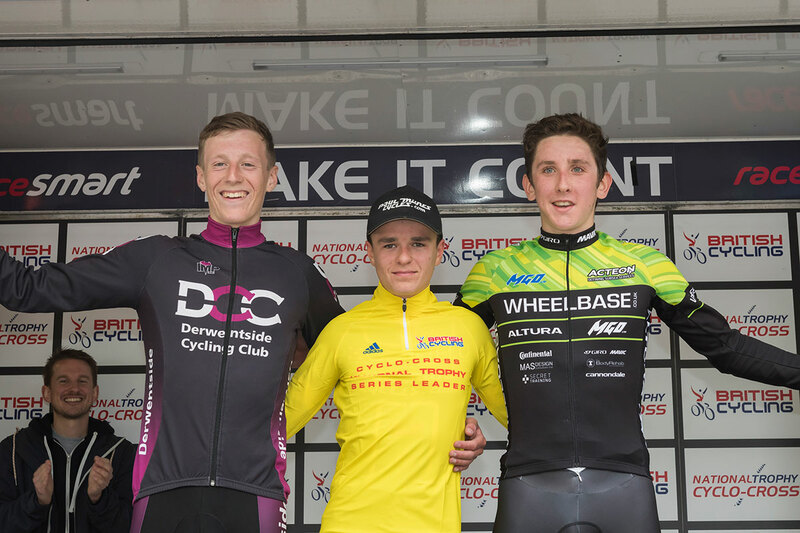 It started with a second at the first national trophy in Southampton in October 2015, which was a great start for a 'road' rider with little experience. From that race onwards he has not been a national level. However, when going abroad it became a whole new ball game. Starting from the back of the grid at every race; having to work his way up became a necessary habit. 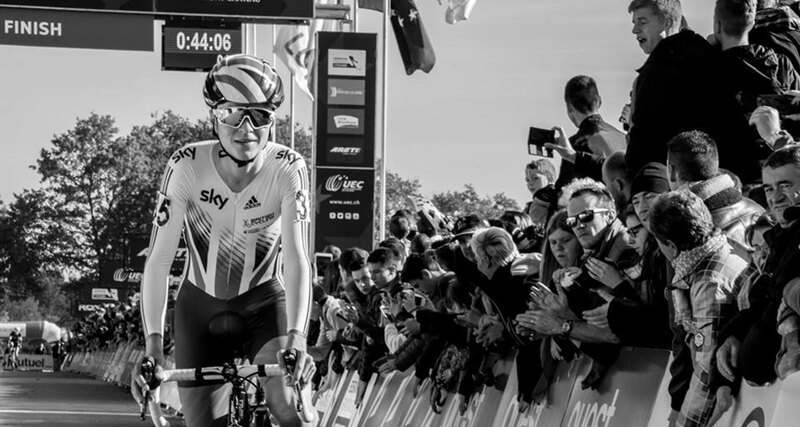 8th at the Euros was his first race abroad and only his 6th every cyclocross race. It a very surprising result because the performance exceeded everyone's expectations by a long way. Christmas 2015 was spent in a very hot and uncomfortable hotel somewhere near Zolder racing circuit in Belgium. This was because it was the Zolder World Cup on boxing day, a race which saw him crash several times and eventually finish well down. 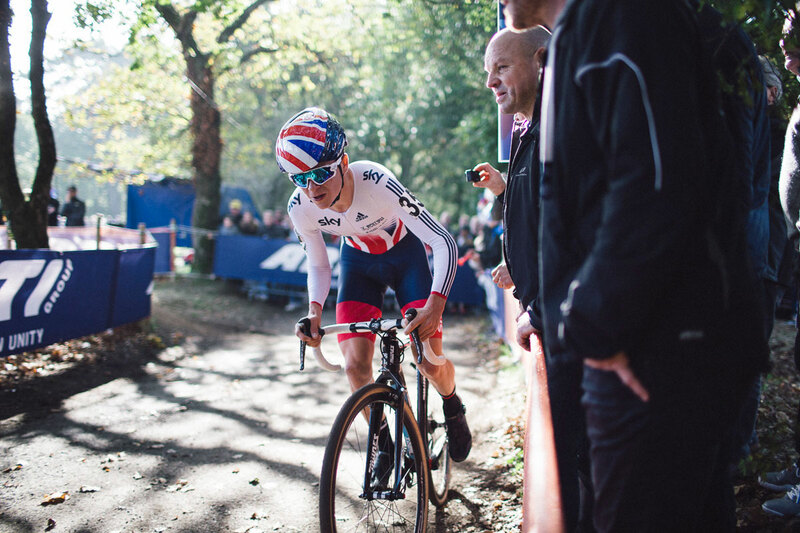 However, it wasn't an entire waste of Christmas because this was the course for that year's world championships which meant Tom understood how to ride that course and how to move up for when he returned. 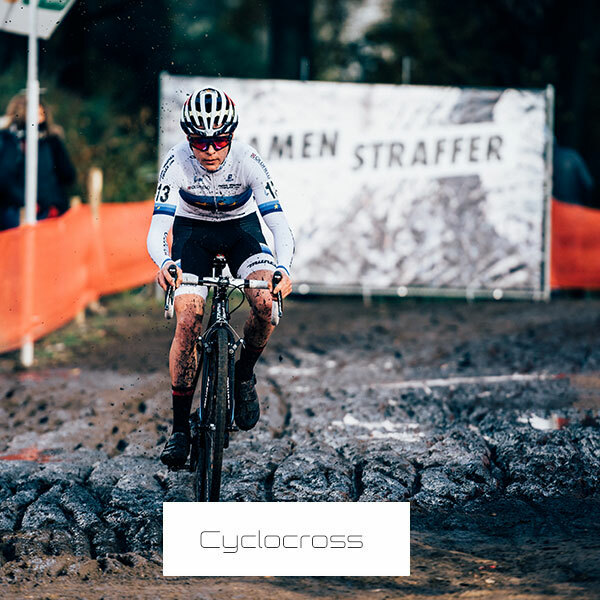 Then came the World Cup race at Hoogerheide, a course which Tom ended up extremely enjoying and excelling in, he once again came from the back row but this time the generally wide course allowed him to move up and ultimately finish second. A boost in confidence that was taken into the following weekends World Championships. For the days leading up to the race it had been abnormally dry, however the good weather soon past and come race day the heavens opened. The course completely changed making for a more exciting but risky and dangerous course. Tom finished in 5th place, remarkably successful after three crashes and a back row start, although Tom wasn't happy as he believed he had the ability to win. This has driven him to train harder towards this season and has already shown when being crowned European Champion on the 30th October 2016. His relatively new found love for cyclocross has been created, in part, by his Oldfield / Paul Milnes Cycles Elite Racing Team. Which was the brain child of Yorkshire Cycling Legend 'mad' Seth Smith, or Swamp Donkey Seth as Tom likes to call him. With the support of ex international cyclist Rob Thackray and the teams sponsors the Elite Racing team branched out from the existing Paul Milnes Cycles / Bradford Olympic Club. This created a perfect pathway for riders to progress. 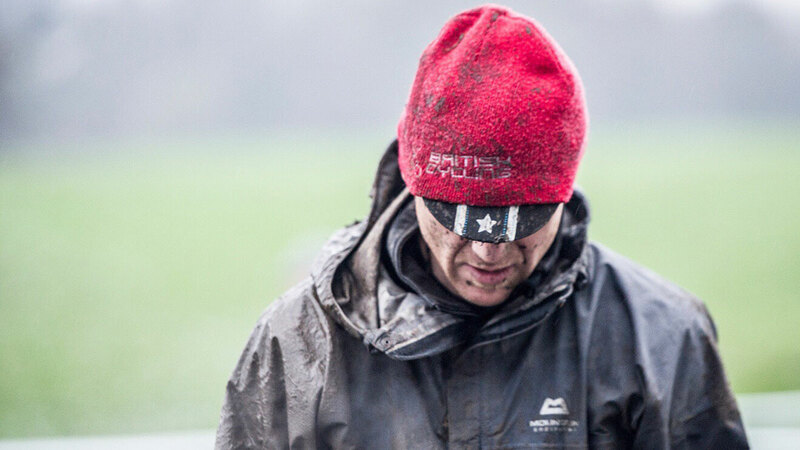 The commitment and love for cyclocross that radiates from the team along with the belief and support of Tom's ability gives him every opportunity to excel in the sport. Suffice to say that Tom wants to be a professional bike rider for a World Tour team or a World Class cyclocross team – or perhaps both! Until then the plan is for Tom to be UK based this winter, commuting to continental Europe from Leeds for the World Cup cyclocross races. 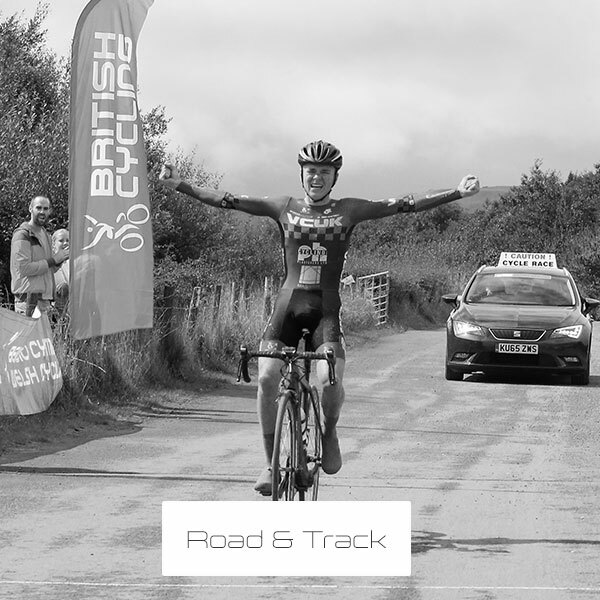 Come the Spring 2017 Tom will continue to be UK based, riding the British Cycling National Road Series as well as regular trips abroad with the British Cycling Academy and with his trade team to ride many of the biggest junior races. 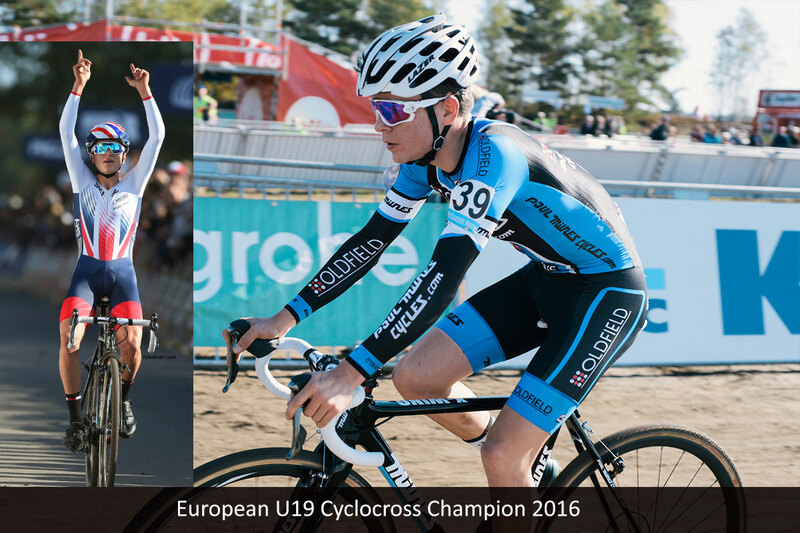 Beyond September 2017 Tom will become an U23 rider. It’s to be decided whether his program will be cyclocross or road based at this stage.